The US Congress has passed a law asking for sanctions against Venezuelan human rights violators. President Obama is expected to sign it. Venezuela ought to be a strategic problem. By joining forces with Russia, Iran, and China, Venezuela is moving away from its natural tendencies and embracing these countries in a rejection of modernity, of Western values. By thumping their collective noses, these countries put the West’s military and economic dominance at risk. These countries represent a threat to the liberal democracies of the West. Venezuela, as part of that group, should theoretically become part of that threat. The problem is that Western powers don’t bunch Venezuela together with that group. Russia and China represent a strategic risk for the West. A Venezuelan government more inclined to the West would, on the margin, alleviate this risk. For example, there are plans for the US to export liquified natural gas (LNG) to Europe in order to help wean Europeans off Russian and Middle Eastern gas. A development of Venezuela’s non-existent LNG industry could help in that regard. Installing a “friendly” regime in Venezuela would certainly help. But Western countries don’t see the potential of a friendly Venezuela. Time and again, when I spoke to people about Venezuela in Halifax, I got the distinct impression that people just … weren’t informed. Save for a few specialists, most of the diplomatic and military leaders I spoke to didn’t have Venezuela on their radar screen. They either thought chavismo was still really popular, or did not know that Venezuela was going through an apocalyptic economic meltdown. They were blissfully ignorant about Petrocaribe coming to an end. Few people were even aware that Venezuela had obtained a seat at the UN Security Council. Mind you, these weren’t just folks on the street – these were national security practitioners! Time and again, I get the distinct feeling that foreigners simply don’t care enough about Venezuela to bother doing something about it. They have simply assumed the situation is too damn complicated to force the overthrow of the government. They feel the government will collapse in on itself, and once it does they’ll figure out what to do. We tend to think of international organizations – particularly intelligence and military organizations – as an ever-knowing, always plotting cabal. But as this week’s CIA report has shown, people inside these organizations have their own agendas, and their own rationale for doing things. Just because it makes sense to want to overthrow Maduro does not mean they’re actually trying to do so. Government does many things pretty poorly, and overthrowing governments is one of them. I think the Venezuelan government knows this. They crave the attention, and by joining in Russia and China’s rejection of western norms, Venezuela is hoping, willing itself into relevance. Ultimately, the fight against modernity will be lost. 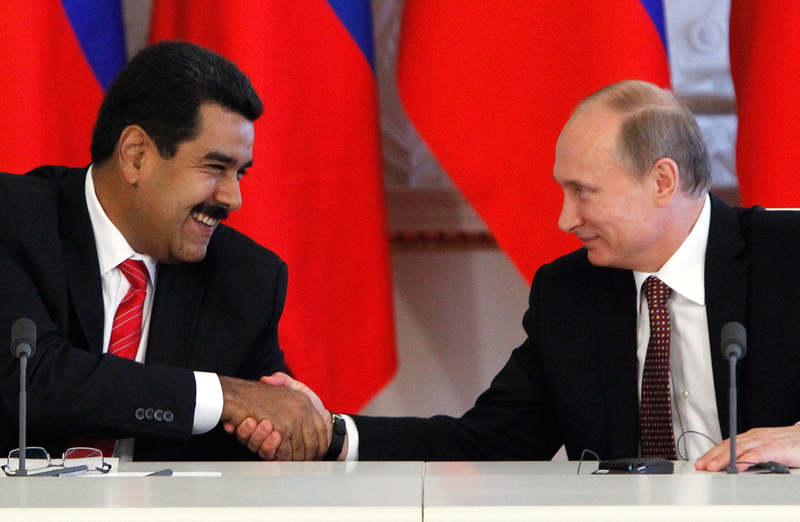 Venezuela is not a natural ally of Russia and China – in fact, it is not even a natural ally of Brazil. There is too much in common between Venezuela and the US for this breakup to be definitive. The US instinctively knows this, but they are not doing anything proactively to make this come about. In other words, Western powers seem to be cautiously waiting Maduro out. They seem to believe that chavismo will fall and that Venezuela will return to its natural course, as a Western democracy, flawed like all democracies are. They are probably wishing for this to happen, but it doesn’t mean they’re actually doing something about it, no matter what Maduro says.